Warner Bros. “Fantastic Beasts and Where to Find Them” cashed in on “Harry Potter” fever, hauling in $8.75 million in Thursday previews across approximately 3,900 locations. That should put the spinoff of the film series based on J.K. Rowling’s novels about a boy wizard in good shape to hit the higher end of predictions, which have the movie opening north of $80 million this weekend, as it debuts in 4,144 theaters. Warner Bros. is taking a more conservative approach, expecting the film to come in comfortably above $70 million. The film has a solid 79 percent rating on Rotten Tomatoes. The last “Harry Potter” movie, “Harry Potter and the Deathly Hallows Part 2,” set the all-time record for Thursday night showings, grossing $43.5 million when it hit theaters in July 2011. That mark held up until “Star Wars: The Force Awakens” reeled in a monster $57 million when it premiered in December. “Deathly Hallows Part 2” went on to make $381 million domestically and $1.3 billion worldwide. “Fantastic Beasts” should also dethrone Disney-Marvel’s “Doctor Strange” from the top of the weekend box office, where it has sat for the last two weeks. The superhero flick starring Benedict Cumberbatch as the title character has already made more than $500 million worldwide. 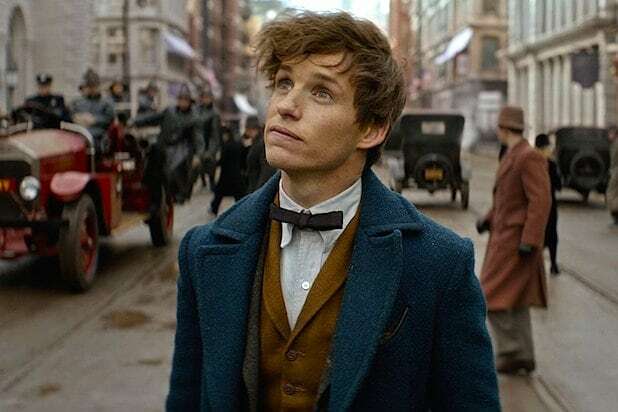 “Fantastic Beasts” is set in the same magical universe as “Harry Potter” and stars Eddie Redmayne as Newt Scamander, a British “magizoologist” who travels to 1920s New York to hunt magical creatures. 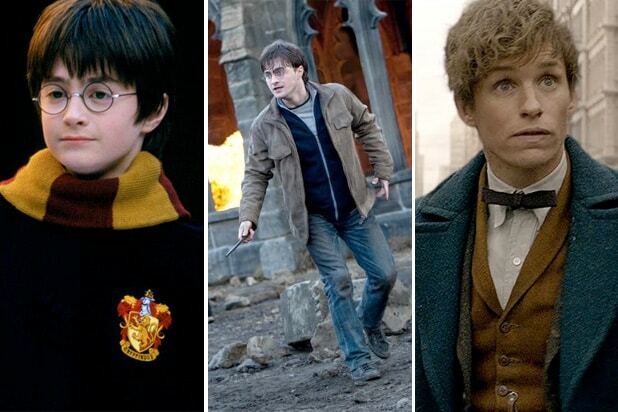 The film includes several fan favorite “Harry Potter” characters, including Aldus Dumbledore, Grendel and Gellert Grindelwald. “Fantastic Beasts” is based on the Rowling book of the same name, written as a mock textbook about magical creatures. The text is required reading for Hogwarts students in the “Harry Potter” novels. Last month, Rowling — who also wrote the screenplay for “Fantastic Beasts” — announced that the latest film will be the first in a five-movie franchise. The second film, which has already been green-lit, will take place in a different major metropolis. To ramp up the anticipation prior to “Fantastic Beasts,” all eight “Harry Potter” films were screened in IMAX during the week of Oct. 13. None of the weekend’s other debutants, including Open Road’s boxing flick “Bleed for This” and STX’s “The Edge of Seventeen,” had Thursday night previews.